Where am I? 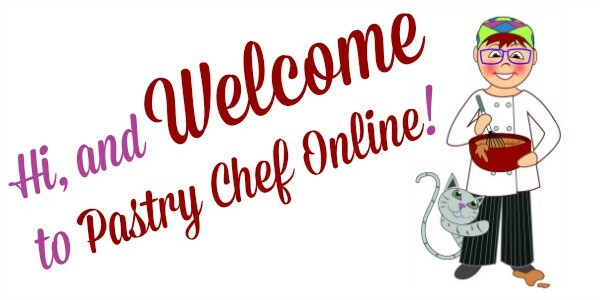 You’re at Pastry Chef Online! People have read my entire site and have said they learned more from me than they did in culinary school! I’m honored to be of such help. But for those of you who just need specific information, here are some great resources for you and then a chart that shows you where to find some of my most sought-after posts. 17 Tips to Make You a Better Cook and Baker: Tips I’ve picked up over the years that can make your kitchen life easier. Easy recipes to memorize so you can make them whenever you need them. Pro tricks, because sometimes restaurant kitchens aren’t as well-stocked as you might think! Top 12 Tools for Serious Bakers: Not everything you really need to be a great baker is expensive. Come see what I consider the most important and useful tools you’ll turn to again and again. Sign Up for The Inbox Pastry Chef: Sign up for my newsletter. I’ll notify you whenever there’s a new post, and I’ll occasionally send you information you might appreciate: giveaways, announcements, etc. Come join the gang! Can you help me with a baking question? Sure! Email Me! Do you have any pound cake recipes? Here are all My Pound Cake recipes. What's it like to work in a professional kitchen? Read my Post What Does A Pastry Chef Do? I hope you’ve found this page helpful. Keep it handy–maybe bookmark it. 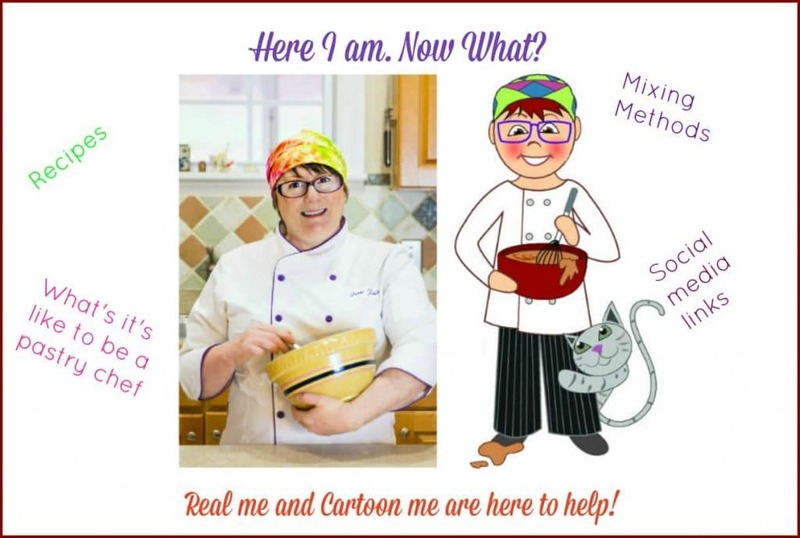 I’d love to be a solid resource for all your baking and pastry questions and recipe requests. Keep in touch with me, and I look forward to seeing you soon!